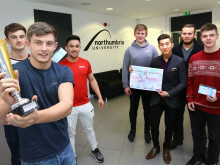 Northumbria University, Newcastle, is set to play a key role alongside the business community this month in the North East’s first inclusive celebration of enterprise and entrepreneurship. GENESIS 2015 will bring together all five universities, the Entrepreneurs’ Forum and the enterprise ecosystem. It will be hosted by the presidents of each of the Universities enterprise societies, and will provide an opportunity for student and graduate entrepreneurs to learn from the region’s start-up, professional, financial and business communities. Over 700 delegates are expected on the day, attending the workshops, one-on-one advice surgeries, and the networking opportunities as well as the Investors panel offered at the event. Guest speakers will be on hand at the event to offer guidance to entrepreneurs and share their own graduate success stories. 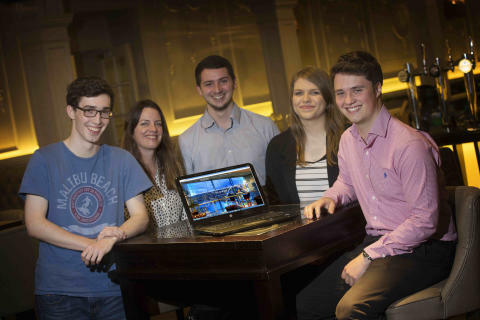 These will include Northumbria graduates Brett Jacobson, founder of Mediaworks and Jules Quinn, Managing Director of The TeaShed; Tareq Nseir, founder of Think; and Tony Cleary from the Lanchester Group. The InCredAbles – what if? 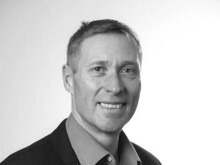 movement will be launched by Roy Sandbach from the North East LEP; while Nevil Tynemouth from New Results Training will run the networking; and financial input will come from Andy Fishburn, head of investment at Virgin Start-up; Santander and the North East investment community. Sponsors of the event include Ebac, Tedco and Virgin Start-Up, Santander, Gateshead Council, NELEP, Tees Valley Unlimited, North East Finance, Entrepreneurs’ Forum, Giving Origin, O PR, First Face to Face Ltd and Gospelware. GENSIS 2015 will be hosted at Gateshead’s BALTIC Centre for Contemporary Art in the middle of Global Entrepreneurship Week on Wednesday 18 November 2015 from 9am to 4:30pm. This will coincide with the GENESIS – Where Business Begins - and Entrepreneurs’ Forum’s 2015 ‘If We Can, You Can’ Challenge final. Visit www.genesis2015.co.uk for more information on GENESIS 2015 and to book your free tickets. 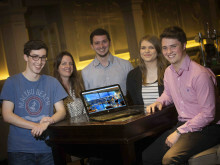 Northumbria University’s enterprise and entrepreneurship society, NUOVO is looking for enterprising individuals to help run GENESIS 2015. If you want to be at the heart of the entrepreneurial action, meeting the right people at the right time whilst supporting the event or if you want to enhance your CV experience in events management and to boost your own personal profile in the North East, get in touch! NUOVO wants to hear from you. 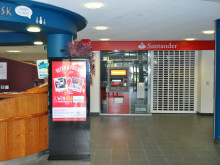 ​A branch of Santander bank has opened in the Students’ Union today (Monday 16 May) as part of Northumbria’s new partnership with Santander Universities.